Insurance provides protection against risks or uncertain events and is based on the principle that what is highly unpredictable to an individual is predictable to a group of individuals. Health insurance protects against the cost of illness, mobilizes funds for health services, increases the efficiency of mobilisation of funds and provision of health services, and achieves certain equity objectives. Based on ownership, the health insurance schemes can be broadly categorized as (i) state-based systems, (ii) market-based systems, (iii) member organization (NGO or cooperative) based systems, and (iv) private household based systems. The social health insurance is subscribed by the State or a Public body, and the schemes are managed by autonomous bodies under Government regulations. While, in private insurance both individuals and groups can avail of this voluntary coverage, which could be profit and non-profit oriented. Contributions are based on risk and coverage; benefits are specifically defined in this type of insurance. In the community-based insurance, the expenditure is shared among the community and generally community organisations or NGOs handle the business. Contributions can be mandatory or voluntary, usually a flat rate per individual or household. In case of Government funded health care system, the quality and access of services has always remained a major concern. With the liberalization of insurance industry in 2000, a number of private players with foreign equity participation has been entered into the Indian market to tap the huge potential market in India. The private insurers bridges most of the gaps between what government offers and what people need, which helped them to grow exponentially. However, with proliferation of various health care technologies and general price rise, the cost of care has also become very expensive and unaffordable to large segment of population. The Government and people have started exploring various health financing options to manage the rising cost of health care and changing epidemiological pattern of diseases. However, a number of studies has reviewed that the insurance schemes offered by Government have not benefited much to the poor people. This paper tries to discuss the various policy initiatives by Government for the universal health care in the country. Also, discussed the issues and associated benefits of the new National Health Protection Scheme (NHPS) as a part of ‘‘Ayushman Bharat’’ programme. Social security for medical emergencies is not new to the Indian ethos. It is a common practice for villagers to take a ‘piruvu’ (a collection) to support a household with a sick patient. However, health insurance, as we know it today, was introduced only in 1912 when the first Insurance Act was passed. The current version of the Insurance Act was introduced in 1938. Further, in 1950’s India’s tryst with health insurance schemes increased, when the employer-mandated social security was launched. Civil servants and formal sector workers were enrolled into contributory but highly-subsidised health insurance schemes: the Central Government Health Scheme (CGHS in 1954) and Employees State Insurance Scheme (ESIS in 1952). The employees of the Ministries of Textiles, Railways and Defence have access to network of hospitals/dispensaries, where they don’t have to pay. These schemes, generally known as employer-mandated social health insurance (SHI) benefits, are meant only for formal sector workers. A vast majority of the population working in the informal sectors remained out of the preview of insurance protection. The health insurance market opened up for the rest of the population in 1986 (under the Mediclaim policy). Mediclaim was the only health insurance policy sold for a long time. 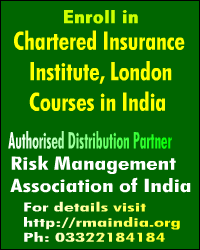 The insurance sector was further opened up in 1999 as a part of liberalisation, with the cap on foreign direct investment (FDI) set at 26% – this was raised to 49% in 2014. It was hoped that the private (domestic and foreign) insurance providers would rapidly develop the sector and improve insurance coverage using new products and better management. Competition, it was hoped, would not only lead to increased benefits in terms of lowered costs and increased consumer satisfaction but also improve access to healthcare and provide better services. With the liberalization, the health care system in India has been expanded and modernized considerably, with dramatic improvements in life expectancy and the availability of modern health care facilities and better training of medical personnel. While, these voluntary health insurance (VHI) schemes served only those who could afford to pay the insurance premiums. A few non-governmental organisations (NGOs), cooperative and community-based outfits have endeavoured to bring health insurance to the poor and those working in the informal sector. The reach, scalability and sustainability of such schemes are, however, limited. In the last decade, one of the most important policy milestones is the Unorganized Workers Social Security Act (2008) enacted by the Central Government to provide for the social security and welfare of the unorganized workers. This act recommends that the Central Government provide social security schemes to mitigate risks due to disability, health shocks, maternity and old age which all unorganized workers get exposed to and are likely to suffer from. In India more than two thirds of expenditure on health is through Out of Pocket (OOP) which is the most inefficient and least accountable way of spending on health. Supply side financing on health alone has not been found to be successful in reducing OOP expenditure on health substantially and therefore, to test the demand side financing approach, Government of India, decided to introduce Rashtriya Swasthya Bima Yojana (RSBY) a Health Insurance Scheme for the Below Poverty Line (BPL) families was launched in early 2008 with the objectives to reduce OOP expenditure on health and increase access to health care. It was the largest publicly funded health insurance (PFHI) schemes in the world for the poor in terms of the number of beneficiaries. It focuses on inpatient care, particularly secondary health services and as per the government statistics, 44% of below poverty line (BPL) families (33 million) were enrolled under RSBY in 2014–15 (Government of India 2015). It assumed greater significance with the government’s announcement to use its platform to move towards universal health coverage (UHC). This in turn led to a significant increase in the allocation of funds for it in the 2016–17 financial year. The RSBY has now been rechristened as the National Health Protection Scheme (NHPS) and its coverage is raised from the current level of Rs 30,000 to Rs 1,00,000 per family of five on a floater basis. The beneficiary families under RSBY scheme in 2017 were close to 3.65 crore covering only 61% of the total eligible household. Though, the introduction of the RSBY signifies a paradigm shift from the traditional integrated public healthcare financing and delivery of services. However, a number of studies found that both in amount and its coverage wise, the scheme was inadequate. Further, not all the States has participated in RSBY, as some States have already their individual health insurance schemes for their people. Despite several initiatives, a number of studies have concluded that that the publicly-funded health insurance schemes (including RSBY and the State-based health insurance schemes) appear to have failed to provide financial risk protection to the poor households in the country. In order to provide a better universal health care facilities, Government in the Budget 2018-19 has announced a new scheme, namely “Ayushman Bharat” which aimed to cover over 10 crore poor and vulnerable families (approximately 50 crore beneficiaries registered under the Socio-Economic Caste Census (SECC) 2011 of India) providing coverage upto 5 lakh rupees per family per year for secondary and tertiary care hospitalization. The scheme has subsumed the existing Rashtriya Swasthya Bima Yojana (RSBY). 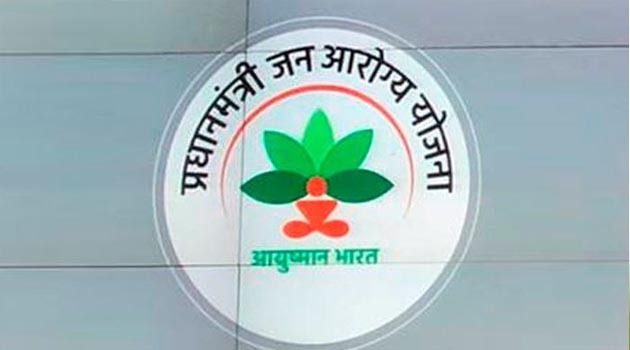 The scheme has renamed as Pradhan Mantri Jan Arogya Abhiyaan (PMJAA) and will launched by our Prime Minister on 25 September 2018 on the birth anniversary of Pandit Deendayal Upadhyay. This will be the world’s largest government funded health care programme and adequate funds will be provided for smooth implementation of this programme. The cross country evidences suggests that strategies to achieve universal health access are, however, not uniform across countries. If we look the 33 developed countries, 32 have universal health care. They adopt one of the following three models. In a single-payer system, the Government taxes its citizens to pay for health care. Twelve of the 32 countries have this system. The United Kingdom is an example of single-payer socialized medicine. Other countries use a combination of Government and private service providers. Six countries enforce an insurance mandate. It requires everyone to buy insurance, either through their employer or the Government. Germany is the best example of this system. The nine remaining countries use a two-tier approach. The Government taxes its citizens to pay for basic Government health services. 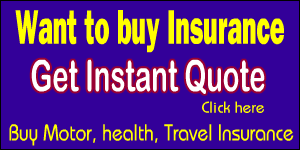 Citizens can also opt for better services with supplemental private insurance. France is the best example. In the recent past, the policy debate in India has been shifting from “health for all” (a tax-based system) to “health for all with financial protection” (a mix strategy). However, we believe, the new initiative taken by Government was the need of the hour as many developed and developing countries have already started the Universal Healthcare in early 40s of twentieth century (e.g, Japan 1938, Germany 1941, Belgium 1945 etc). The scheme covers 1,354 medical and surgical packages categorized under 25 specialties such as cardiology, neurosurgery, oncology (chemotherapy for 50 types of cancers), and burns, among others. However, patients can’t avail surgical and medical packages at the same time. The scheme includes (i) Hospitalisation expenses such as registration, nursing and boarding charges in general ward; (ii) Consultation fees, surgical equipment and procedure charges and cost of implants, medicines, diagnostic tests and food for patients; and (iii) Follow-up care along with pre- and post-hospitalisation expenses. In case of multiple surgeries, the highest package rate will be waived for the first treatment, and 50 percent and 25 percent of the costs will be provided for the second and third treatment, respectively. The premium will fix by the state health agency in consultation with the selected insurer. There are 7 States, including two union territories, have opted for the insurance model, while 22 States opted to set up trusts or subsidy pools with 60:40 contribution by central and state governments. Funds will be granted at a flat premium of Rs 500 a family for the first six months. Under the mixed model – opted by eight states – claims of up to Rs 1.5 lakh will be covered by an insurer and anything exceeding that will be settled by the trust. For the renewal, the beneficiaries will have to pay a specific amount of money which will be counted as a premium amount of money every year to renew their schemes and avail the facilities of the scheme. To implement the scheme, Government will need to allocate around Rs 12,000 every year for the expenditure of the scheme. The government has already managed the required sum of money for the first phase of the scheme (Government has already provided Rs 2000 crore in budget and Rs 11,000 crore is proposed to be mobilized through cess). Also, the Union Budget has urged all the States to take part in the Scheme and the states will have to provide 50% monetary need for the insurance premium of the citizens of the State. However, a lot of debate and discussion has been going on in the public domain regarding its fiscal burden, feasibility, coverage and successes. Some experts are arguing that the cost will be as high that it will increase the fiscal deficit by 10-15bps. In fact, our estimates suggest that the initial cost under Modicare will be less than the market estimate of Rs 12,000 crore because the claim ratio in the first few years will be low as it generally takes time for awareness to increase. For example, Net incurred Claim ratio in RSBY, was low in the initial years. From 87% incurred claims ratio in 2012-13, it has now gone up to 122% in 2016-17.
Financing healthcare cost is a major challenge. In India, 40% of inpatient spending is met through borrowing (33%) and sale of assets (6%). The rest is financed through household income/saving (48%) and help from friends (12%). The PMJAA is more comprehensive and may help the poor people in the country in managing their healthcare expenditures. 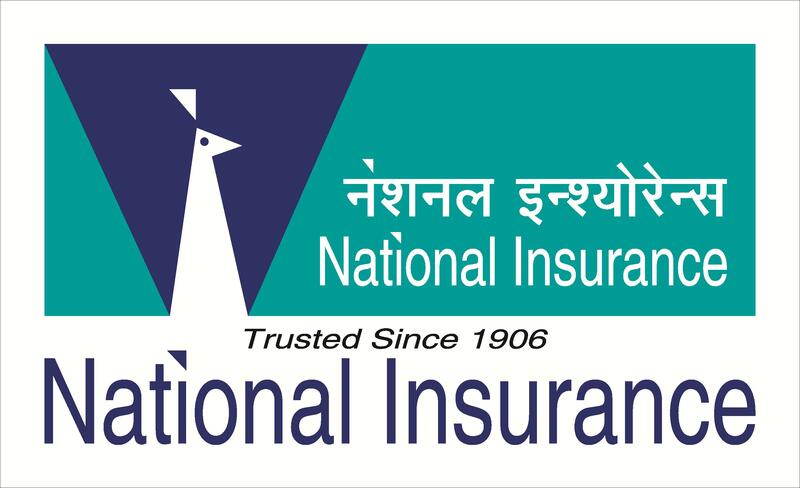 All the existing national and state level publicly funded insurance schemes in India have identified target populations that are eligible for the particular schemes. However, several schemes have in fact resulted in mis-targeting or missing the target altogether. There is a fundamental problem with using the SECC/BPL lists, as the criteria for inclusion and exclusion are faulty. For instance, widows or women headed households tend to get excluded. There is also no realistic understanding of urban poverty for the purpose of the lists. These lists are also not updated regularly, excluding those who have been recently impoverished. Thus, these schemes do not take into account the fact that there are existing social exclusionary processes that exacerbate the situation for the vulnerable and marginalised, and therefore they are unable to gain any benefit from these. Migrants, tribals, and deserted or widowed women were found less likely to be covered by insurance schemes. The inability of the schemes to provide coverage to the eligible population is highlighted by the fact that enrolment rates are less than 5% in several states under the Rashtriya Swasthya Bima Yojana (RSBY). So, there is a need to update the list, at state level, to enroll the families. At the National Conference on Health Insurance and Universal Health Care in India, organised by the Centre for Enquiry into Health and Allied Themes (CEHAT) and Tata Institute of Social Sciences (TISS), Mumbai in October 2017, evidence across the multiple studies presented also clearly shows that there has been no significant impact on the out-of-pocket expenditures (OOPE) incurred by the poor and none of the schemes were cashless as envisaged. The reasons were several. Patients and their families continued having to pay for diagnostics and medicines, and the practice of reimbursement of costs is common. The situation for the poor can get aggravated if the claims are rejected or there are delays in settling claims or reimbursements. The continued inter-district travel mentioned earlier also adds to cost of healthcare. Though, RSBY follows a reimbursement model. High OOPE is also a consequence of the absence of the continuum of care approach, as the maximum expenditure is incurred by the patient prior to reaching tertiary care services and at the level of the outpatient department (OPD). It is also bizarre to think that the government is willing to pay much more for the same services that would be cheaper were they made available through the public sector. It is also argued that strengthening the public healthcare facilities will lead to an increase in their utilisation. This will lead to a decrease in OOPE and reduce the dependence on the private sector. Government should focus more on OOPE in the newly launched PMJAA scheme. The PMJAA is targeting the Socio-Economic Caste Census (SECC) 2011 list. As the scheme gets running we can even think of rolling it out to a large population through a 2-tier system where the Government may provide insurance based healthcare services to people who can afford, thereby mitigating the Government fiscal cost. Ensuring universal healthcare requires a publicly managed health system giving free, comprehensive, and quality healthcare to all. Its foundation is in the rights-based accountability framework that also addresses the social determinants of health. It requires strengthening of the public sector and promotion of the continuum of care approach. Even within the public healthcare system, focus should be on removal of barriers towards ensuring free access to quality healthcare across all levels of health services to all people. The private sector needs to be regulated and monitored and the public health sector strengthened. Thus, instead of a National Health Protection Scheme (NHPS), we need to continue to aim for a comprehensive “national health care service” as was recommended by the Bhore Commitee in 1946. Barai-Jaitly, T. and Ghosh, S. (2018), “Role of Government in Funded Health Insurance Schemes”, Economic & Political Weekly, June 23, 2018, VOL.LIII , No 25. Mahal, A. (2002), “Assessing Private Health Insurance in India: Potential Impacts and Regulatory Issues”, Economic and Political Weekly, Vol. 37, No. 6 (Feb. 9-15, 2002), pp. 559-571.